Counter’s Creek | The Goose Is Out! Counter’s Creek are a new contemporary folk band from East London. 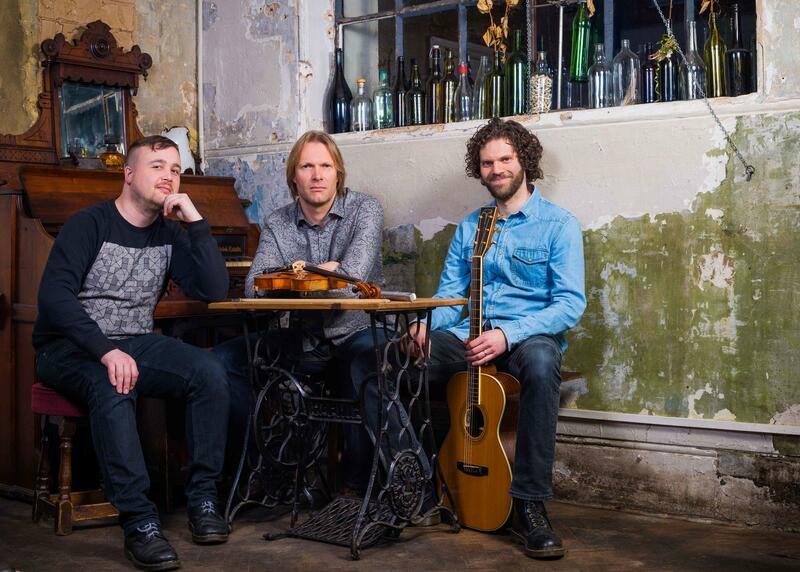 Jonathan Taylor plays whistles (high and low) , Tom Newell plays fiddle and banjo and Moss Freed plays guitar. They play mainly original tunes that are rooted in the folk tradition of the British Isles but with a few other influences creeping in from time to time. It’s rhythmic, soulful music and whether the tunes are fast or slow they have a strong sense of groove (in a very acoustic way). Tom is also in Effra, who are about to release their second album, and Moss is also in Flekd (a crossover folk/jazz group). We are very happy to have them supporting Jim Moray in 2018! Click here to go to Counter’s Creek’s website! Click here to go to Counter’s Creek’s Facebook page!